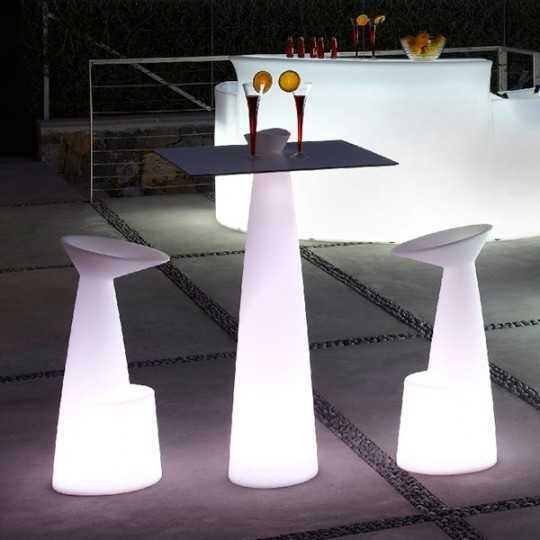 The Lighting Table category offers many styles of modern illuminated tables made in Europe, suitable for professionals such as architects, designers, event organization or bars & restaurants owners. 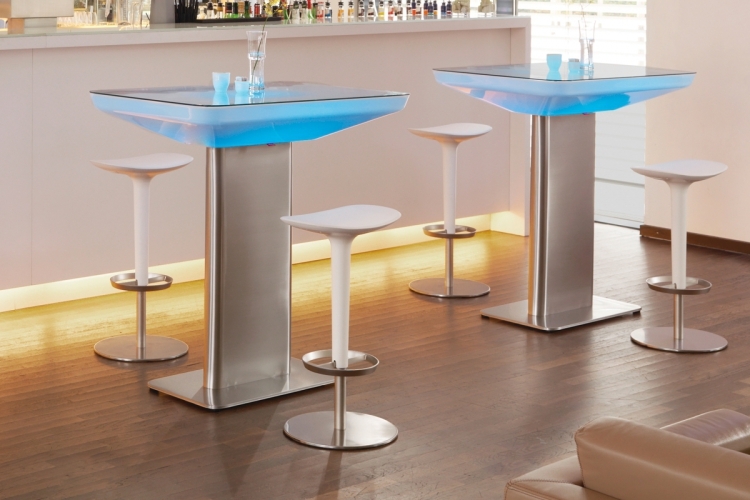 The quality of the materials and their resistance make them particularly suitable for bars, restaurants, bar terraces, hotels layout and decoration. 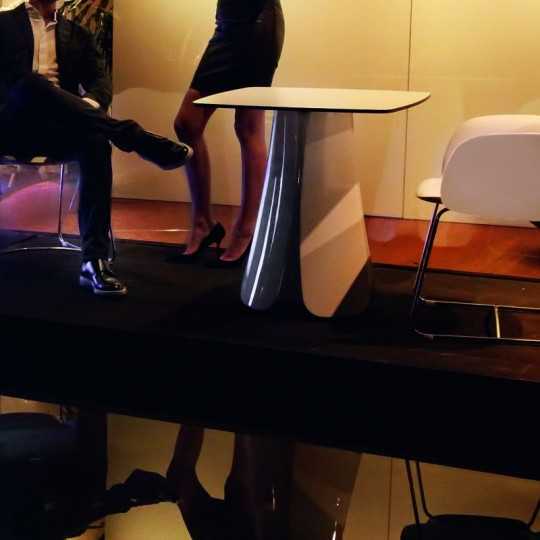 Discover the incredible Faz Coffee Table RGB by Vondom. It lights up like magic! 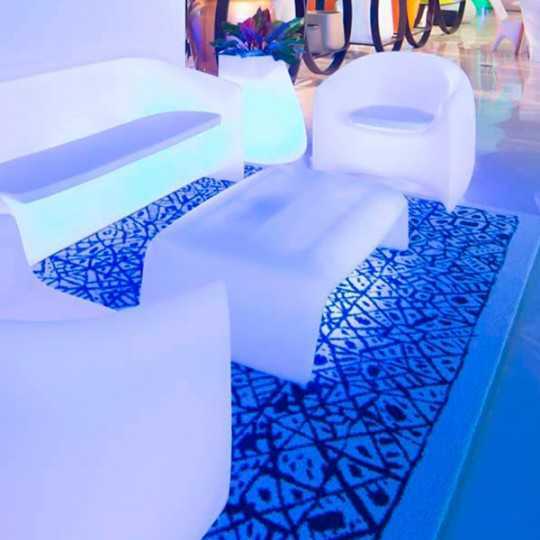 Customize your space by choosing your fetish color or by letting the infinity of variations decline.Place it in both inside and outside, it is resistant to weather, sunshine and the variations of temperatures. 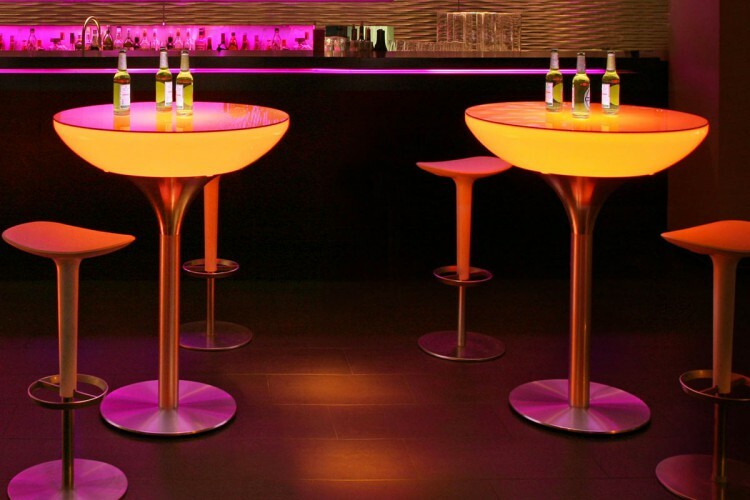 The Vondom Faz Coffee Table takes place in the Lounge or your Club. 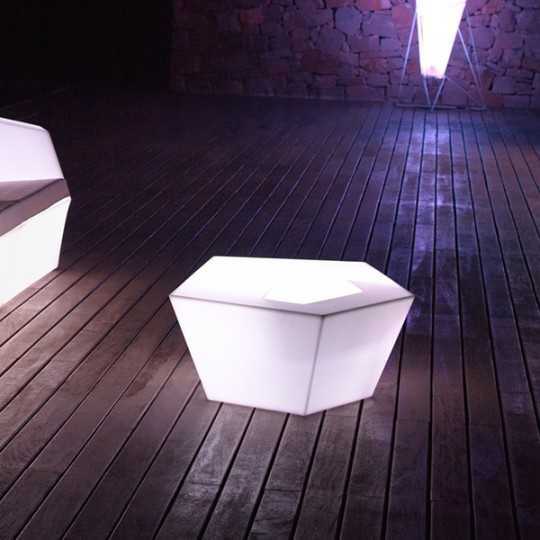 A planter or an ice cube tray is directly integrated into the furniture. 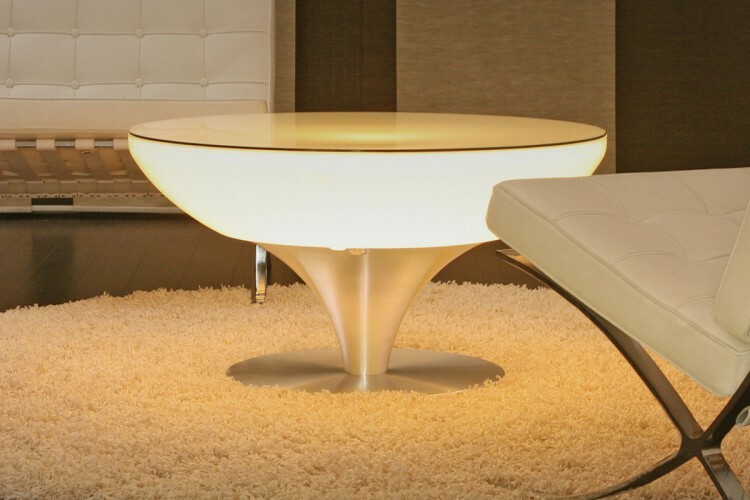 This design coffee table is bright white. 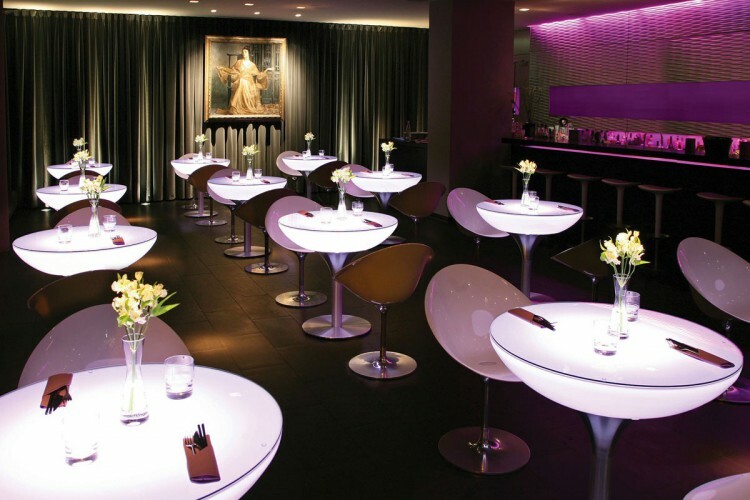 It invites your guests to spend a magical moment in your Hotel-Restaurant. It is resistant to sunlight, rain and extreme temperatures. 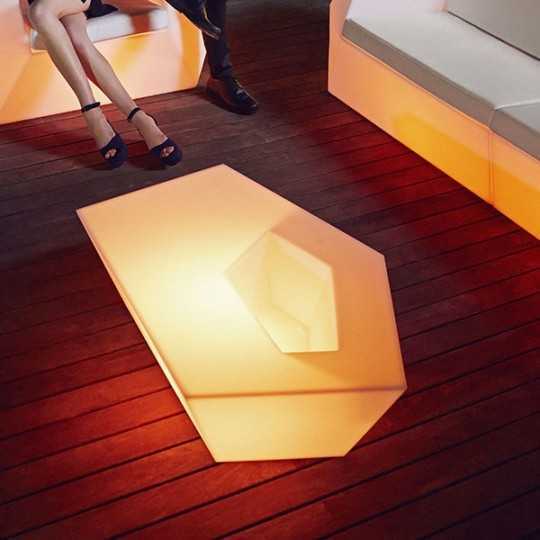 The ULM Coffee Table by Vondom has a white light, ideal when the night falls! It will perfectly fit in your Hotel, Club or Lounge area with ULM Sofa and Lounge Chair (as shown on main picture). It is very resistant. 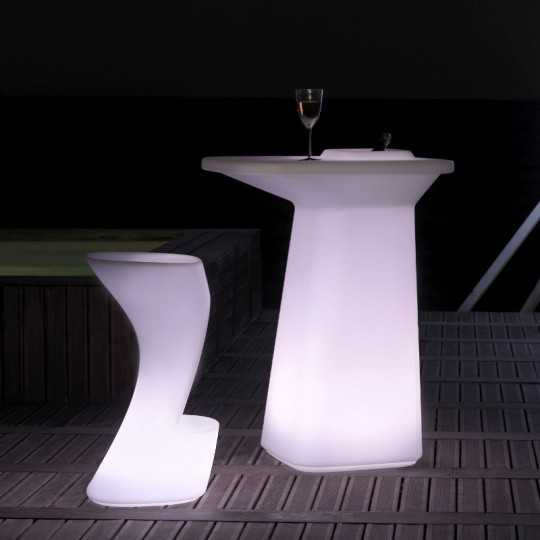 You may also add a White or Bronze Glass or Ice Polyethylene Support (optional). Made in Spain. 1 105,00 € tax excl. 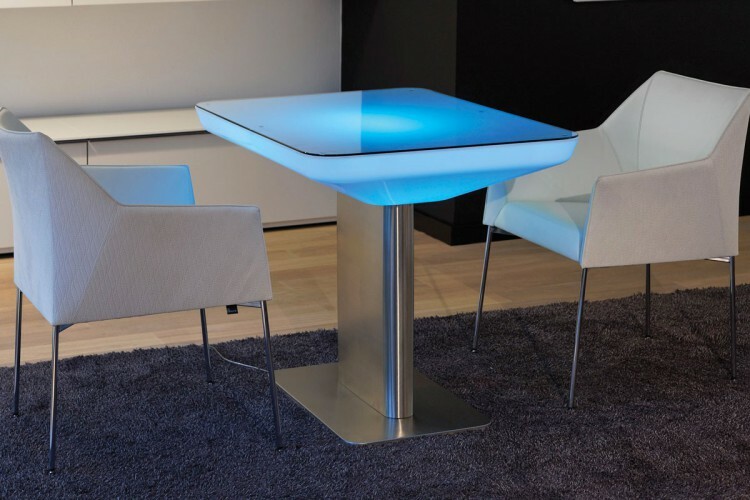 This RGB LED Lights Table is part of the Blow collection by Vondom. 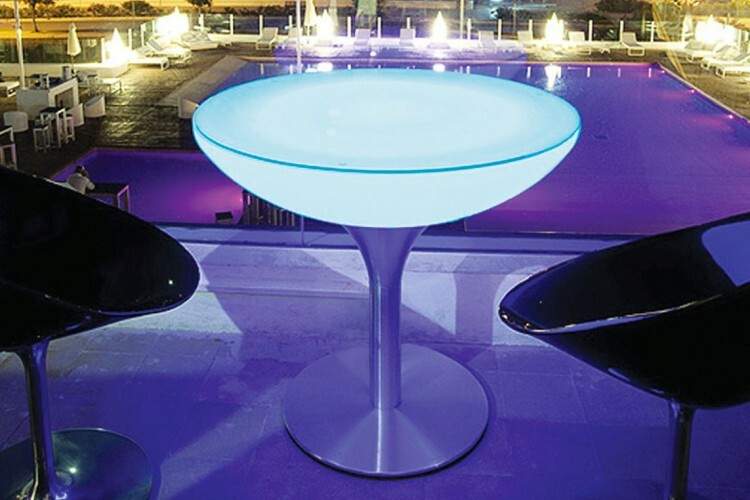 The Designer Stefano Giovannoni has conceived soft shapes and welcoming curves.This Led Multicolor Lighted Table can be installed both indoors to create a Lounge space and outdoors at a Poolside or Restaurant Terrace. 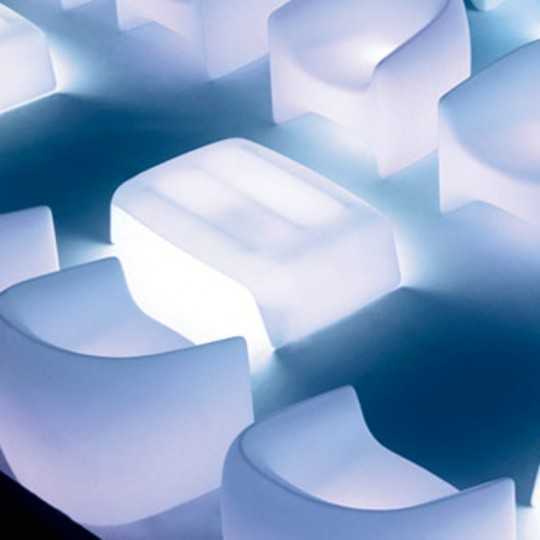 The polyethylene structure is recyclable.